On September 4, 2016, Colorado Sikhs made history at Mile Hi Church, by conducting the first Sikh service within church walls, including Langar and outreach. Dilpreet Jammu and Rev. Shannon O’Hurley, of the Sikh and the Spiritual community at Mile Hi Church respectively, joined together to create a true multicultural community service. Knowing the importance of the event, Rev. Shannon dedicated a film crew to capture the experience. The final activity for the documentary is a joint Langar in downtown Denver, Colorado in 2017. “Our communities have a true understanding for each other and the ways East meets West. We are delighted in the ways we all work together to serve so many in need," Dilpreet and Rev. Shannon shared. For a taste of the impact of sharing together, view this 20 minute interview that occurred during the service. 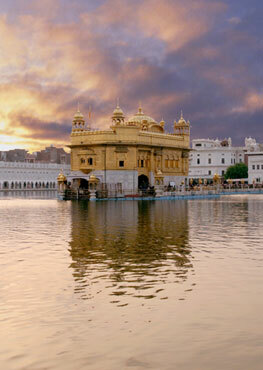 The result is an interview with simple answers that anyone can use when asked about Sikhism. Rev. Shannon O'Hurley: Tell me, because I was so moved when you first told me about the concept of 'Oneness' in Sikhism, how the first few verses in your holy scriptures speak about this. What is the feeling of Oneness in Sikhism? Dilpreet: The way I would describe it is: The Oneness is Everything. Our holy scriptures, the Guru Granth Sahib, which we'll talk more about, starts with a number. It is the only scripture that I'm familiar with that starts with a number and that number is ONE. In our language one is 'Ik' and that becomes "ik Ongkar' a description of the source, of the Creator,The Divine. For us everything goes back to the One. The human race, the Divine, we are all part of that Divine, we are all within that Divine and we are all One together.